Over seven decades experience in the swimming industry, semi-private classes of three pupils in a specially designed heated teaching pool ensures your child will get more individual attention in a calm and peaceful environment. Visit our blog page for useful and insightful information about our unique swim in five program, or submit a booking request with your nearest Shapland Swim School. Brenden learnt-to-swim at Shapland's after his mishap and speaking from personal experience strongly recommends the Shapland teaching program to bring our the best swimmer in your child. With small classes of only 3 and just two classes in the pool at one time, Learning is more personal and progress is accelerated. FREE make-ups lessons and free enrolment .....makes everyone is a winner! Shapland Swim Schools teach semi-private swimming lessons to children of all ages, including babies starting from 3-6* months old. We teach our unique Swim in Five program in small classes with a maximum of three children. 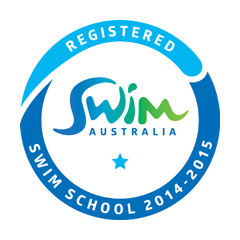 Swimming lessons are conducted in specialised teaching pools, which have been developed over the past 70 years. This successful formula, combined with experienced, industry qualified swimming instructors, and a friendly, caring environment ensures your child will learn to swim with ease and confidence.